Siemens Wind Power will, for the first time, provide complete offshore wind power plant solutions including foundations for the EnBW Hohe See offshore wind project. Hohe See owner EnBW has now made a final investment decision for its 497 megawatts offshore wind power plant. Starting in early 2018 the large wind park will be installed at a site 90 kilometres north of the German island Borkum in the North Sea at water depths of up to 40 meters. 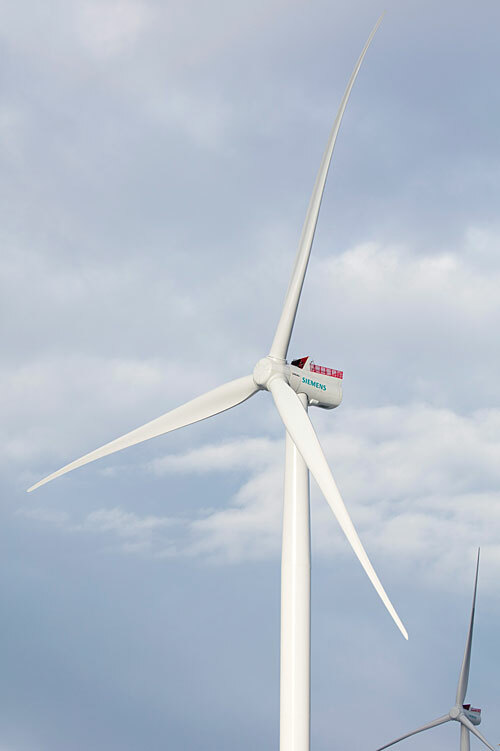 The 71 wind turbines of the type SWT-7.0-154 rated at 7 megawatts each will be manufactured at Siemens’ new nacelle plant in Cuxhaven beginning in mid-2018 and will be shipped to the project harbor in early 2019. The blades will be shipped from factories in Hull, UK, and Aalborg, Denmark. Commissioning is planned for the third quarter of 2019. The wind power plant will generate enough power to supply 560,000 households with clean renewable energy. In 2016 Siemens began with the development of project-specific solutions for the foundations of EnBW Hohe See wind power plant with a preliminary project. The result was the development of a large monopile design with a length of up to 80 metres and a weight of up to 1,500 tonnes to anchor the wind turbines solidly into the sea bed. Siemens has more than 25 years of experience with offshore projects starting with Vindeby offshore project in Denmark, commissioned in 1991. After commissioning, Siemens will perform service and maintenance for a period of at least five years. Grid connection will be established via the BorWin 3 high-voltage DC link and BorWin Gamma converter platform to be installed by Siemens for grid operator Tennet.